text for the front of the book- any text you like! A beautifully designed chic notebook for mum's. 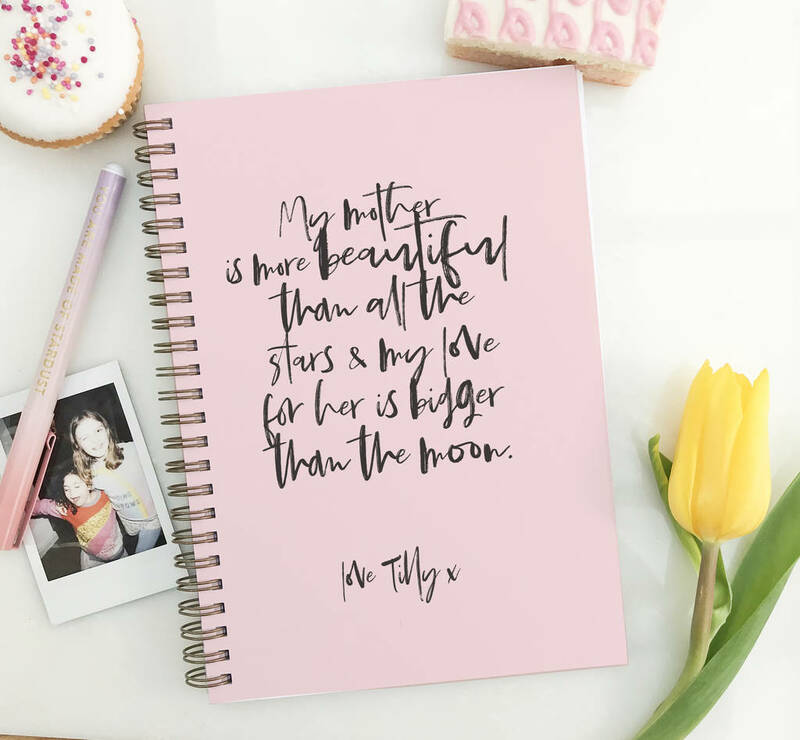 This stunning notebook is the perfect gift for mother's day! 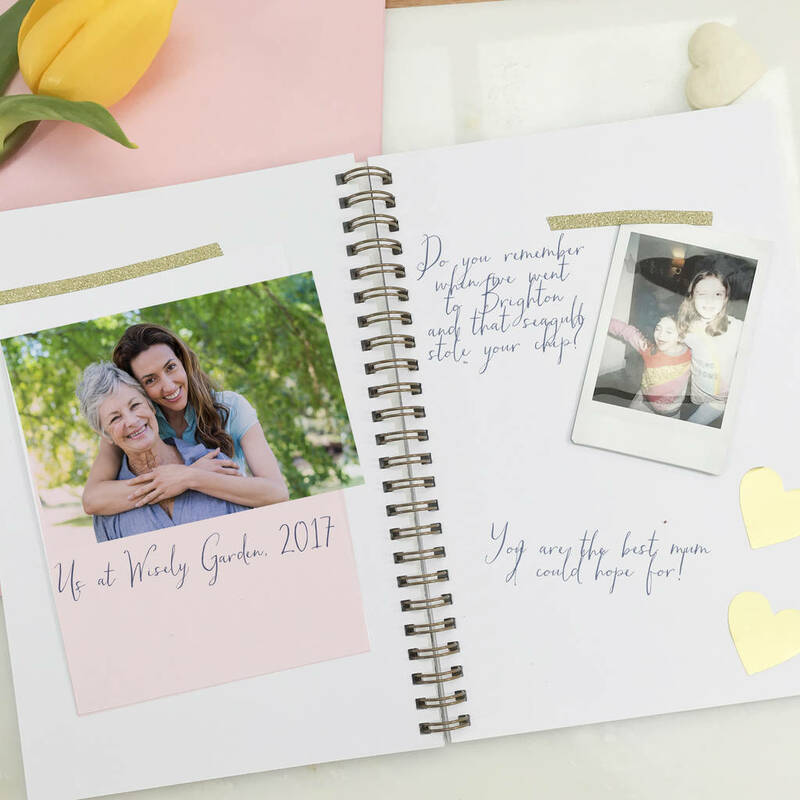 If you are looking for the perfect and unique gift for to give your mother or the mother of your children this is the perfect gift. 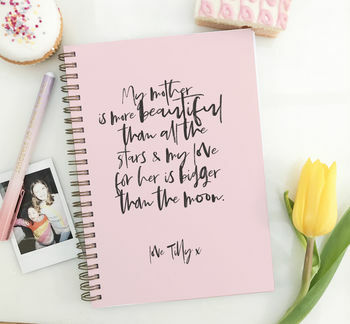 This stunning notebook features gorgeous modern calligraphy with any text you like. A perfect and stylish gift for your dearly treasured mum. 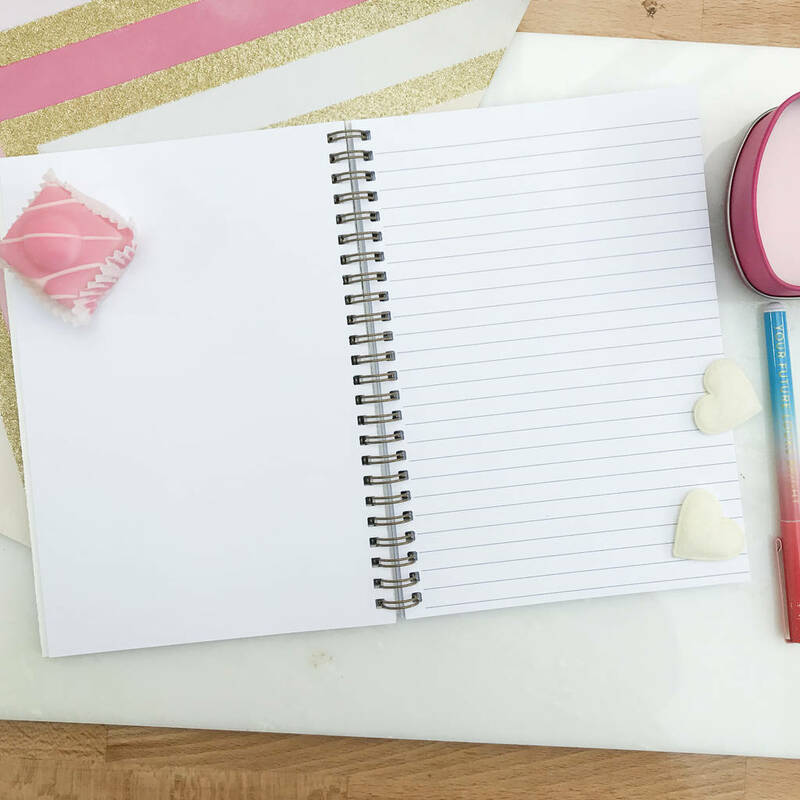 Our notebooks can act like a card and gift in one as you can add a message to the back cover too! This is exclusive to August and Grace notebooks. Just think; every time the receipent use's their notebook they will think of you! 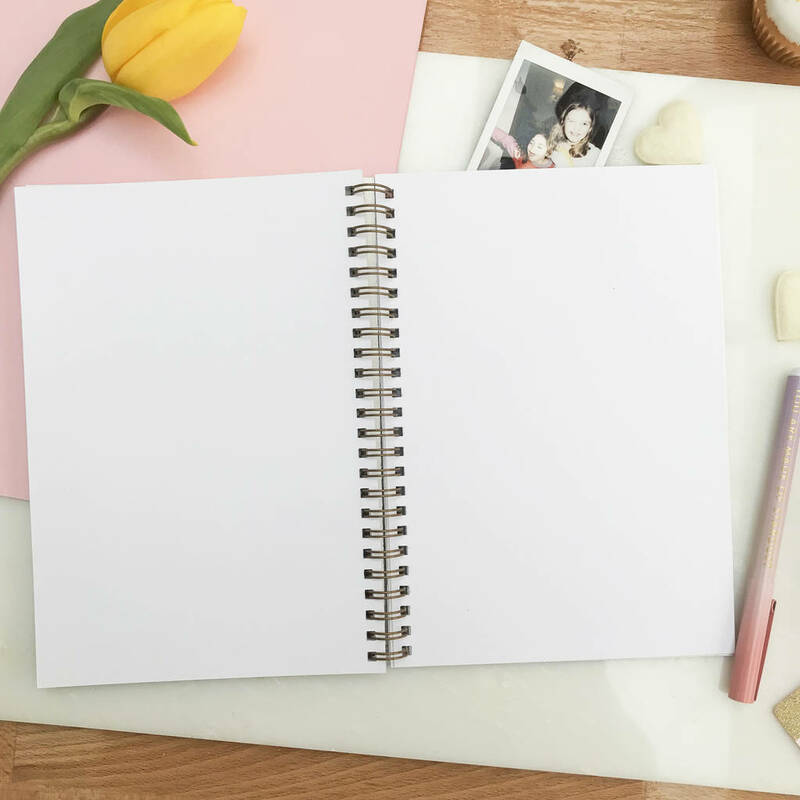 "Dear Mum, A notebook to plan your dreams and make your wishes come true. Love your best friend & daughter, Kayla x". "Dear Mama, I am so grateful every day I have a wonderful mother like you :) Love Jessica x"
"Mum your the best! 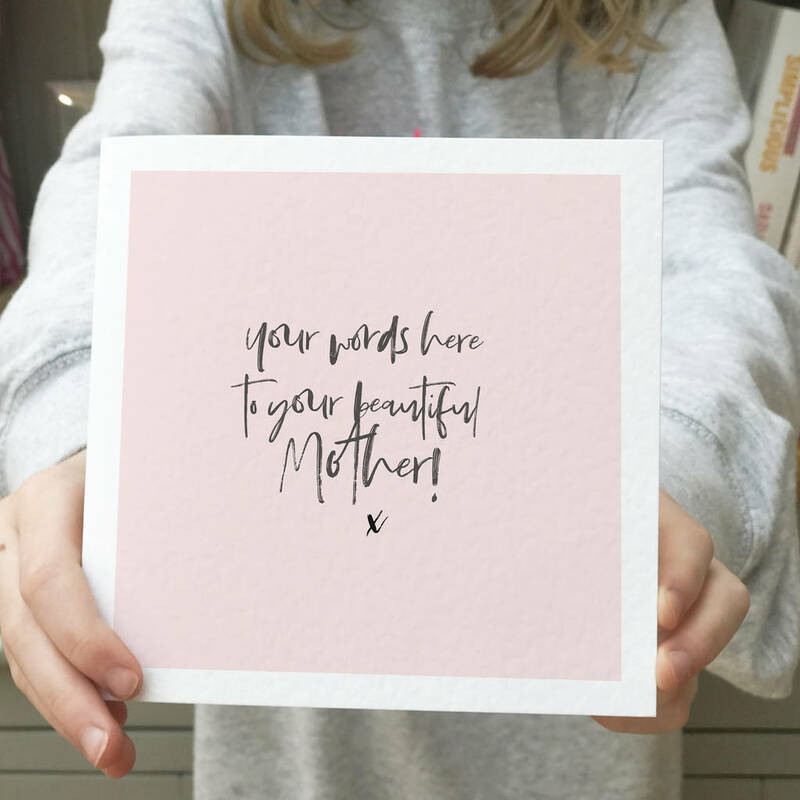 Love your favourite child, Rob x"
Their is also the option that you can also add a mother's day card that matches the notebook design with your text on it. If you would like this, choose from the option in the drop down box. - The Cover is printed onto high-quality 300gsm cardboard, comes with stiffener board with protective transparent covers. -We have spent a long time looking for the highest-quality materials so you will be pleased with your notebook. This product is dispatched to you by Lily Summery.